New - The Lion Electric Co.
On June 21st, Lion Bus became The Lion Electric Co. The Lion Electric Co. is much more than an all-electric heavy vehicle manufacturer. Lion is the heart and soul of an industry going through a major energy transition and seeking ways to improve its environmental footprint. 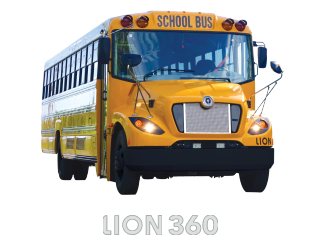 Lion’s mission is to develop sustainable and integrated solutions for transportation companies. The freight and passenger transportation industry is a major source of inspiration for Lion’s innovative products offering unprecedented energy efficiency. 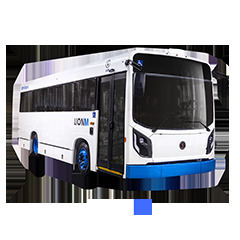 Lion’s electric buses and trucks boast distinctive features adapted to user realities. Within the next few months and years, each new Lion product launch will bring us one step closer to a stronger and healthier society. 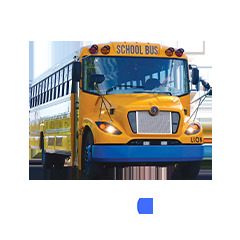 Lion is currently developing an electric type A minibus that will serve the special needs, school & transit transportation. 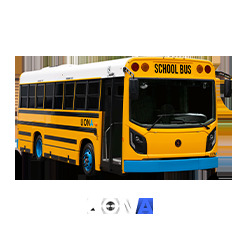 Lion’s electric Type A bus will be available during summer of 2018. Lion is also developing a complete electric truck product line (from class 5 to 8). 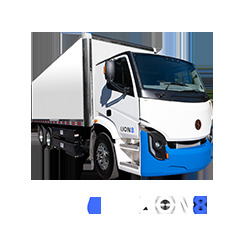 Lion’s class 8 electric truck will be launched during Fall of 2018. We believe that electric freight and passenger transportation will lead to a better society, a healthier environment and improved living conditions. Together, let’s drive power in progress. .